The wait has been long, but since yesterday, February 28th 2019, the Constantinople update as well as the St. Petersburg update are live on the Ethereum platform. The update took place at the block number 7,280,000, around 19:45 GMT. As we’ve talked in mid-January, the platform update labeled as Constantinople had been postponed due to security issues. 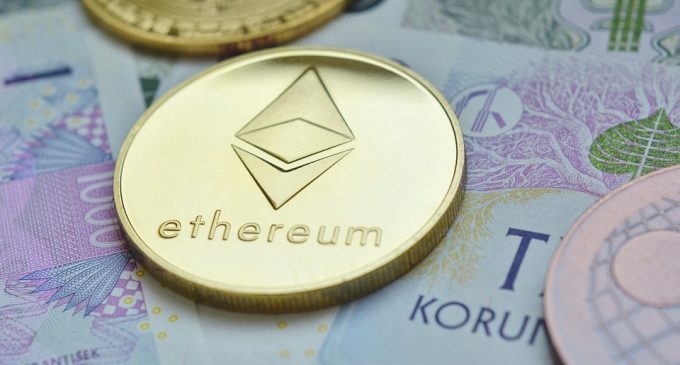 The move was necessary in order to prevent a reentrancy attack, a vulnerability spotted in the Ethereum Improvement Protocol (EIP) 1283. In order to counteract the negative effects of EIP 1283, the St. Petersburg update kicked in alongside with Constantinople. Several major changes took place, affecting the processing speed of the blockchain, efficiency in scaling solutions, optimization of large-scale code execution, and others. One change which had created some controversy is the EIP 1234, which reduces the block reward from 3 ETH to 2 ETH. Mati Greenspan, an analyst as eToro Israel, said “it is a big deal”, and the supply demand equation is going to be very altered”. Despite this negative feedback, a few major exchange platforms supported the update since a few months ago. Binance, Huobi, and OKEx were monitoring the update before the first attempt took place in January. Coinbase and Kraken, had also been confirming their support for the Ethereum update. However, as it can be seen on ethernodes.org, around 22.3% of Geth and Parity clients were running the updated version of the software. How the Ether price could react? Although the update took place, in terms of Ether price, little activity can be seen for the past 24 hours. Following the slump which took place on Sunday, the price action fluctuated in a narrow range but continues to float inside an ascending channel which we have mentioned in our last weekly crypto analysis. Judging by the price action development, it does not seem there is a majority of market participants pricing in any influence of the Constantinople fork. Still, the fork may still have implications in the long run. Since the mining reward had been reduced by 33%, some miners might not be excited to continue supporting the Ethereum system. The earnings miners get is already very low, considering the Ether price slumped from $1,590 a year ago, to $134 at the time of writing, on the Kraken exchange. Despite the decreased mining reward, the update is widely seen as beneficial, according to several experts from the blockchain industry.